ATC-Semiconductor Devices presents OEM laser modules. The basic applications are pumping of solid-state lasers, medicine, material processing. The module is a complete device, which sums radiation of a few high power laser diodes, giving up to 4W, 6W or 8W of continuous mode radiation in the 808 or 980 nm wavelength region. 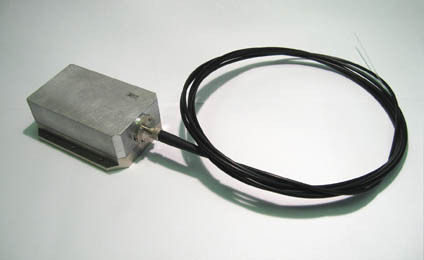 The temperature of laser diodes is stabilized by built-in Peltier thermoelectric coolers (TEC). 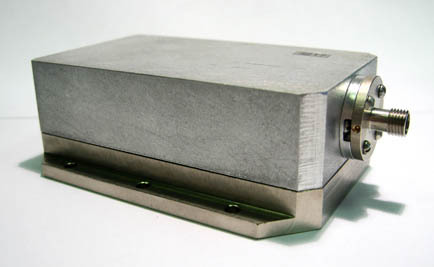 Laser radiation is delivered through 200, 400 or 600 micron fiber with NA=0.22, which is connected via SMA-905 connector to the main case of the module. The pilot beam of 650 nm is mixed up into the fiber as an option. For operation of the OEM module, external power supply is required, for the laser diodes and for Peltier TEC. It might be parallel or series feed. The laser diode driver and temperature controller model LDD-10M is necessary for working with fiber-coupled laser modules. External heat distribution radiator is recommended.